The invention of email is widely credited to be Ray Tomlinson (http://en.wikipedia.org/wiki/Ray_Tomlinson) in 1971. In one especially oddball webpage, VA Shiva Ayyadurai claims to have actually invented email in 1978. (http://www.inventorofemail.com). Mr. Ayyadurai mostly substantiates his claim by playing games with the definition of what email is, basically arguing that email didn’t exist until his particular program was written, and that nothing beforehand actually amounted to what he defines as being email. I won’t play those games with you here. So, Let’s define email roughly along these lines: A text message could be sent from one terminal to two or more locations, using mnemonic addressing, and that messages would be stored and forwarded and routed as required. Communications are necessarily non-real-time and storage is required until messages could be delivered. Advanced features such as a return receipt are possible with an email system, as opposed to just a data switch. If you know telephone history, you certainly know about the venerable #1 ESS Switching System. This switching served almost 10,000 central offices in its peak. It’s stored program control was groundbreaking because of its capacity and reliability. 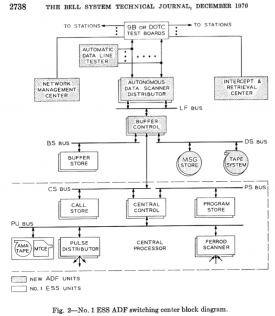 Those who know obscure telephone history know that the processor for the #1 ESS was used as the foundation for numerous other systems within the Bell System. For example, it was the core of the TSPS system that replaced cord switchboards with cordless consoles for toll operators. TSPS also allowed 0+ dialing of operator handled calls. The #1 ESS ADF was an email system. It allowed people to compose a text message, and to address that email to numerous other parties. The addressing was mnemonic (not just a phone number) and messages would be stored in mass storage and then would be delivered later when requested. Switches could intercommunicate with each other in a network. And, the #1 ESS ADF was in full production service February 3, 1969…almost five years before Ray Tomlinson sent the first email message and well before ARPANet even existed. To clarify, that was full commercial service…not a research laboratory. When the #1 ESS ADF system was cut into service in 1969, it was of a truly massive scale for the time. 1,250 terminals located in 720 locations across the country were connected. These were used by Western Electric and AT&T Long Lines to send administrative messages, traffic orders, commercial service orders, payroll, plant service results, and budgeting reports. There was no other system, including universities, with such widespread use. It could support terminals using BAUDOT or ASCII codesets as well as the IBM 360, and it could interchange between these transparently. It could also convert between various speeds and types of devices, since messages were “Store and Forward”. It allowed group addressing. Preset group addresses could be given names up to 7 characters. Up to 379 destination addresses could be specified for a single message. Messages could be given priorities: Urgent, Rush, Normal, and Deferred. Messages were timestamped and sequenced to confirm their authenticity. Multiple time-zone support of dates. Statistics and reporting was provided. If a message was undeliverable it could be forwarded or rerouted. Addresses could be forwarded to a temporary alternate address. A message could be flagged for storage on a permanent magnetic tape file. Like the switching system version of the 1ESS, the 1ESS ADF was no slouch when it came to capacity. A single node averaged 38,000 messages and 50-Megabytes a day. It could handle 19,000 messages per busy hour and up to 1,150 concurrent users. The 1ESS ADF system was highly reliable, being based upon the core 1ESS. It had redundant processors with hot-failover capabilities. In fact, the system operated for nearly a decade without any downtime whatsoever. This was in part because it had more than 100 maintenance programs and 150,000 words of code, which was truly massive for the day. I find it very interesting that so much credit is given to the ARPANET. Today, people think that computing and networking started with the ARPANET. 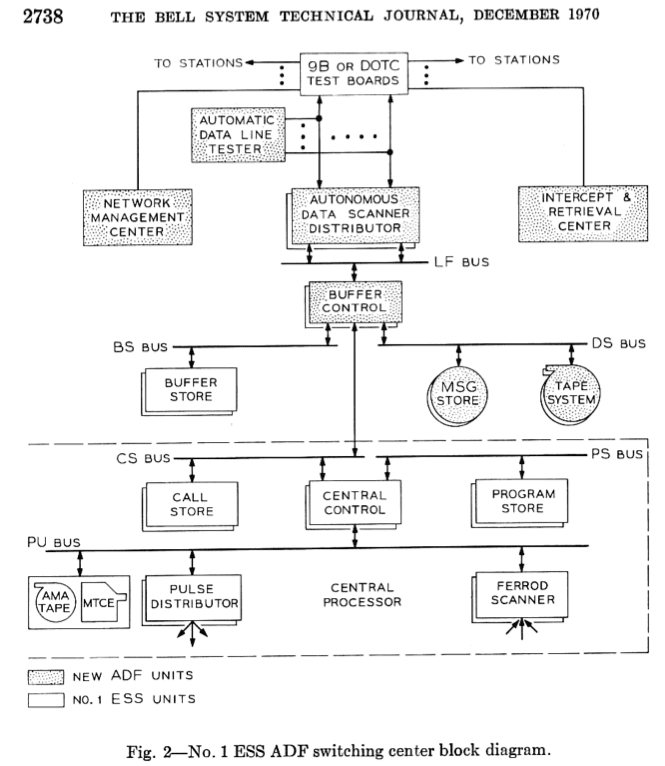 Even when the first email messages was sent over the ARPANET in 1973, the 1ESS ADF was switching nationwide traffic between thousands of terminals in a full-production environment. But history is a curious thing, and the 1ESS ADF is forgotten except for a few old-timers like myself. I have even been accused of making the 1ESS ADF up, and as proof the challenger went to Wikipedia and demonstrated that there was no entry for this email system. After all, if it isn’t in Wikipedia then it isn’t true, right? 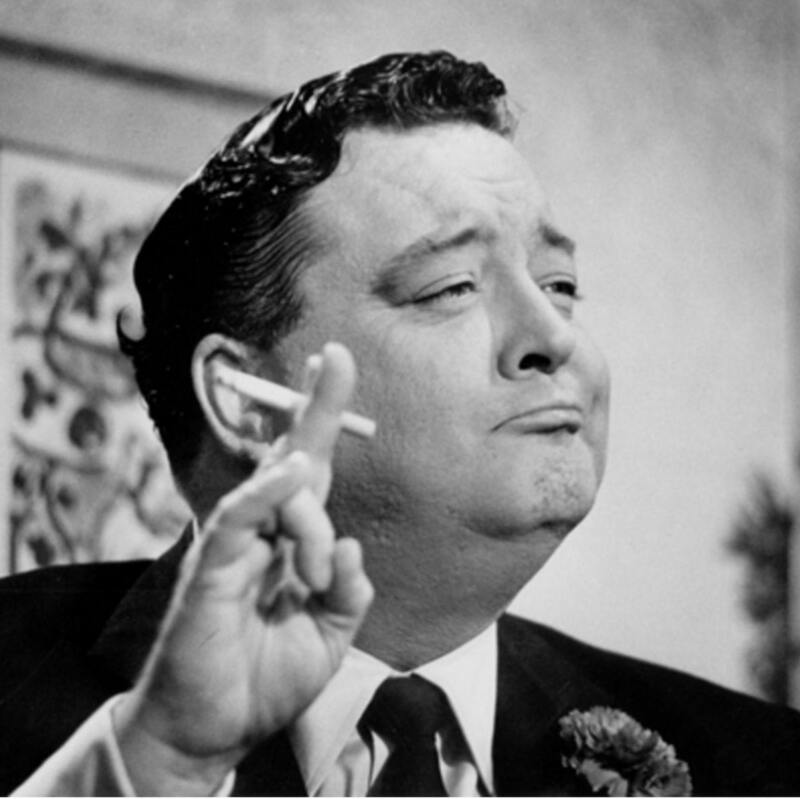 And, if it was an email system before the internet invented email, then it really wasn’t email, right? So, what happened that cursed the 1ESS ADF to oblivion? Well, it is simple. The Department of Justice had decades earlier ruled that the Bell System was a “natural monopoly” and that this was necessary and essential to the country. Because of this acknowledged status, the Bell System agreed that it would only provide telecommunications and no other services. Consequently, Western Electric who was the leader in amplifiers, talking pictures, and even washing machines; exited all of those businesses entirely. When AT&T developed the 1ESS ADF system Western Union went ballistic. They went into high gear in their lobbying efforts. The FCC issued a memorandum deciding that “Message Store and Forward” was not a telecommunications service. If messages were stored, then it was no longer communications. Hence, AT&T was barred from ever offering 1ESS ADF to the general public. The system continued to be used internally until sometime in the early 1980s. So passionate was Western Union about the 1ESS ADF system that a back-door deal was reportedly made. AT&T had operated a telegram network known as TWX. AT&T agreed to sell TWX to Western Union and as part of this agreement AT&T agreed to halt all R&D on the 1ESS ADF system. The development team at Bell Labs was disbanded, and the 1ESS ADF system was doomed. It was this decision that any “storage” of information was barred that would haunt the Bell System until the point of divestiture. 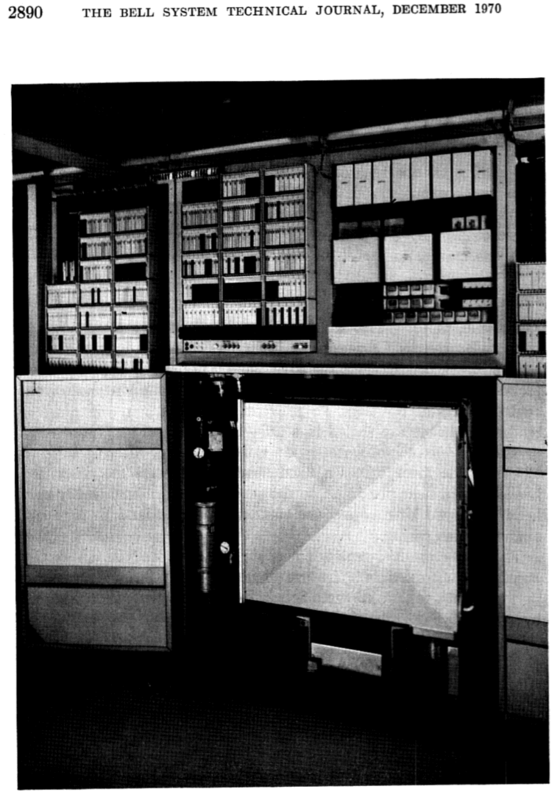 This brings up another story for another time: The 1ESS VSS, or 1ESS Voice Storage System. Yes, the Bell System may very well have invented Voice Mail…they had it up and running as a commercial service on the #1ESS. But again, an adverse ruling that voice storage violated the “storage” restriction and once again a major 1ESS system bit the dust.